Up to this point, the correspondence from 1942 has been one-sided. Now there are a few letters written to Lester from his sister and a few friends which were returned with his personal property and saved by his mother. They provide a glimpse into the kind of brother he was to his siblings, and the kind of reliable friend he was to many people. 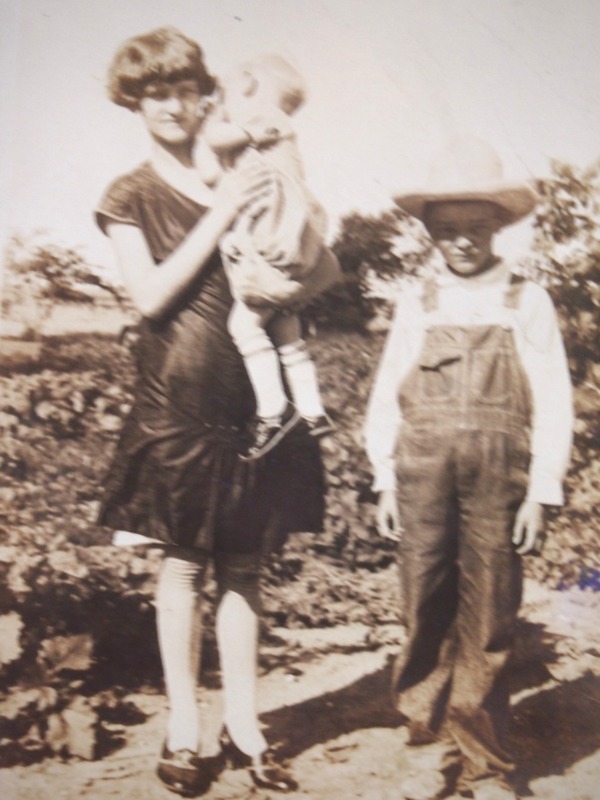 Lester’s sister Frances was the closest sibling to him in age, his only sister, and his only older sibling. 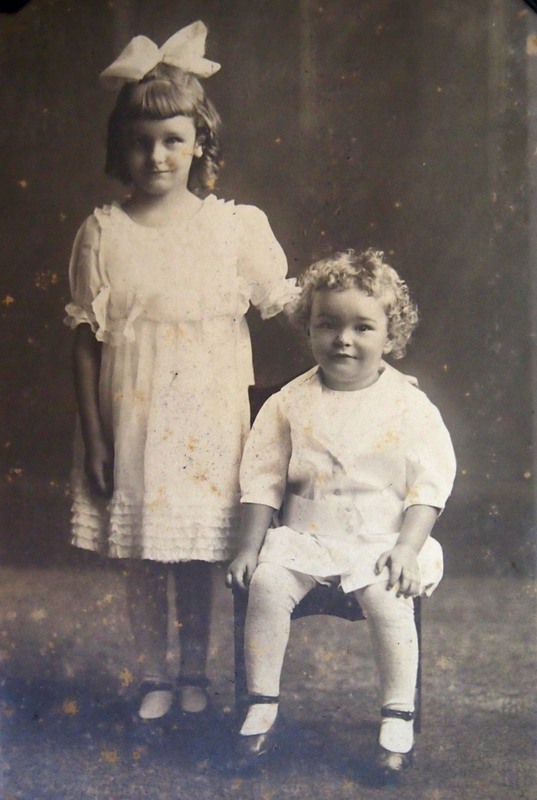 Lester with his sister Frances about 1920. I started to write you a letter with a pen but it was too slow. 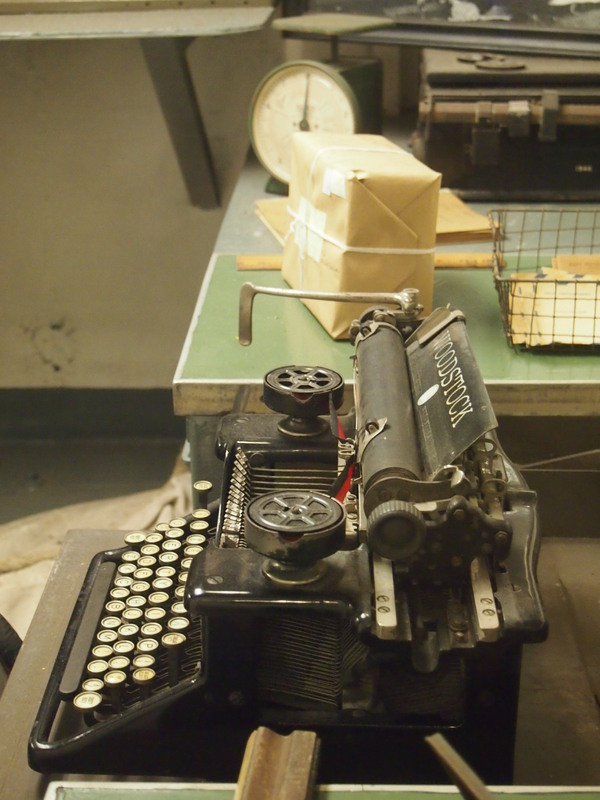 I work using a typewriter so if you will pardon me my letters in the future will probably be typed. No doubt they will be more easily read than if I had written them by hand. I don’t make nearly as many mistakes now as I did when I first started and have picked up on my speed too. We haven’t been very busy today and August is taking the afternoon off and going to Emporia so we are having things our own way. They really worked me yesterday. Seems like there are so many things that don’t mean a thing to me—such as warehouse receipts, certified checks, proof of loss, etc. etc. Maybe it will gradually soak in but at times it seems doubtful. Yesterday they sent me down to the bank to get a certified check and I had no idea what the thing would look like but they gave me one and it was all right. At least they knew at the bank what I needed. Our nice weather is still with us and we hope it stays for a long time. This should give farmers a chance to get their work done. Several of the high schools are dismissing in the afternoon so the boys can work. I don’t know whether Dunlap has dismissed yet or not but Parkerville and some of the others have. In Arizona nearly everyone turned out on Sunday to help pick the cotton which is so badly needed. I read in the paper about it. Gloyd is working this week and next for Nystrom. They are all trying to get all the time off they can while Gloyd is still here to relieve them. Kirk told Gloyd the other day he was going to try and get him a deferment until after Christmas but of course we don’t know if he can get the job done or not. Gloyd told Kirk that he would have to ask for it because he wouldn’t. Tomorrow is the day he is to be reclassified. I stayed home last night while Gloyd went to drill. We girls usually get together but I didn’t feel very well last night so went to bed early. Gloyd didn’t get home until after twelve so I was glad I hadn’t gone. He had a non com meeting after the drill period so they could try and think of some way to get some new members. About thirty of the guards have gone into the army and it is getting harder and harder all the time to get new recruits. These business men are all so busy they don’t have time. They are just like a lot of other people. They want the war to be won but they want someone else to do the fighting. Council Grove collected a nice pile of scrap the other day but not any more than some of these smaller towns around. We will still have to dig deeper I guess. The Cresses had a family dinner Sunday out at Uncle Elmer’s but we didn’t get to go as Gloyd had to work. We had thought we would drive out a while in the afternoon but we were both tired so instead of going we stayed home and slept. I had worked all morning getting the house cleaned and something cooked for dinner. After we had rested all afternoon we decided to wash that evening and have it all ready to hang out Monday morning. We borrowed an old stomper of Mrs. Pickett’s and it didn’t take us so long but of course it isn’t like using a machine. Seems like the washing is the biggest problem of all now since I am working. If we only had a machine of our own we could get up and get it done early of a morning and it wouldn’t be any trouble at all but this way we just about have to do it the night before. I ironed an hour before I came to work this morning and it won’t take long to finish now this evening. When Gloyd has to get up at five I usually go back to bed but I get a lot more done when I stay up and work. Sunday I spent half the time putting things away. Of course the house gets dirty too but it doesn’t take so long to go over it if everything is in place. So far this week we have done pretty good but I don’t know how long it will last. One of the girls had to go home awhile ago. She and some other girls have an apartment over Kenwell’s. When they were home this noon they put some meat on to cook so they could have beef and noodles for supper tonight and they forgot to turn the fire out when they left. Mr. Kenwell called and said something was burning, for them to come home and see about it. She said you could smell it all down the street and the apartment was full of smoke. When she came back she smelled like smoke so much the rest of us could hardly stand to have her around. She said the smell in her clothes was making her sick so she went home to clean up but I imagine everything will smell the same way. I don’t envy her the job of cleaning up after such a mess. Ned went over one day last week and painted the porch railing and put the storm windows on so now we are ready for winter. He sure does like to potter around. I wish he would decide to paint our kitchen but I don’t suppose he will. Wilkerson’s asked him to paint theirs but he said he couldn’t now. We thought if he wanted to paint ours he would with out our asking him and if he didn’t want he wouldn’t do it anyway. But it does need it bad. Our neighbors think he is doing more for us than he is for them but we aren’t always asking for something. I haven’t talked to Mother since they were up last Sunday. I tried to call last night but the line was busy then I got busy and didn’t get it done. We were up nearly every night last week. Wednesday night we went to the show and saw “Sweater Girl.” It was fairly good. No one got the money though. Tomorrow night they give away $260. Thursday night we went out to Roswurm’s and practiced our play. Friday night we went to community meeting and were up late. Saturday night we went over to the folks awhile. It isn’t any wonder we wanted to sleep on Sunday. Did I say awhile ago that I had improved in my typing? I must have been mistaken. I have made more mistakes on this page than I have made for a long time. The Navy Recruiting officer is in town today. He has two boys to take back with him. Willard Boyer from Wilsey and some other boy are enlisting. They are just out of high school. The officer had more gold stripes on his arm than I had ever seen before. He almost needed more sleeve. One boy who enlisted about six months ago is home now and one of the girls said he was an admiral but I think she must have been mistaken about that don’t you? At any rate—that is going up quite fast. It usually takes years to get that far. Well I believe this is all for this time. Maybe I can think better next time. Hope you are well and everything is going well with you. Frances, Lester and Wallace, 1926.